Virgil Miller Repair, Co. is your number one go-to source for all things related to oil heaters and boilers in the Batesville, AR area! We’ve been selling and servicing oil fire heaters and waste oil heaters since 1975, and we’re committed to continuing our tradition of providing top quality products and services. Have you been searching for a reliable source for used oil heaters in Arkansas or Batesville? Well, you’re in luck because Virgil Miller Repair, Co. has been serving the oil heater needs of people in this area of Arkansas for nearly four decades! We offer a very high quality line of Reznor waste oil heaters for use in heating industrial, commercial and agricultural spaces. We even specialize in providing Reznor oil fire heaters for shops and similar spaces. Whether you know exactly what you’re looking for or if you’re new the world of oil heaters and boilers, we’re here to help you make your ideal selection from the best waste oil boilers in Arkansas, Missouri, and Tennessee! 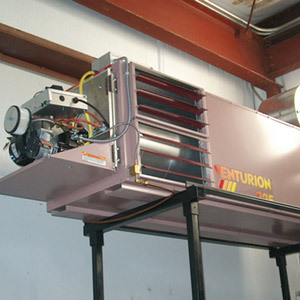 We offer installation, service and repair of used oil heaters. We specialize in working with Reznor oil fire heaters. We sell a wide range of heater parts and take special orders upon request. We’ve been in the oil heater business for nearly four decades. We serve Northeastern Arkansas and all cities within 150 miles of Batesville.